If you’ve been looking for a smarter way to manage your Gmail and Android contacts, the folks at Xobni have good news for you today. It’s called Smartr (no, not that Smartr) and it really is a smarter way to go about overcoming contact overload. 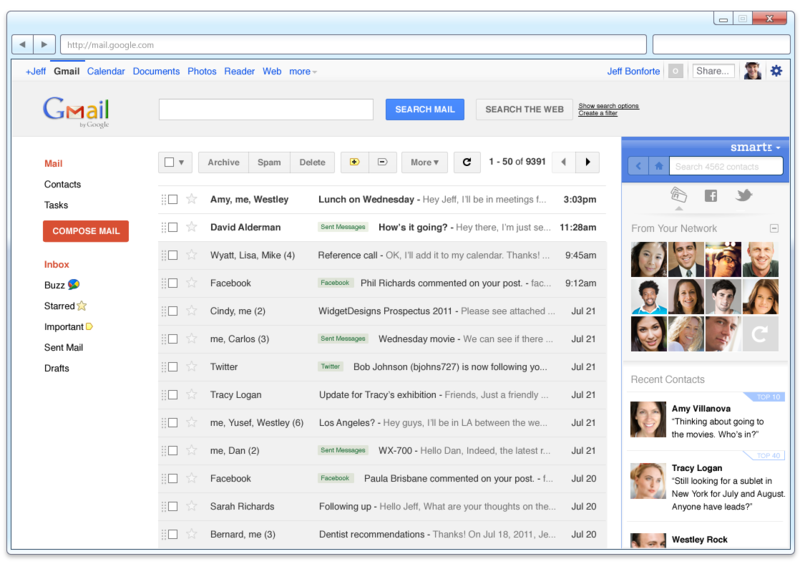 For Gmail, Smartr Inbox is a sidebar that pulls up all of the people you’ve emailed, called or SMS’d and it gives a full view for them, akin to what we’ve seen from Rapportive. You’ll also have access to search that shows you when you talked to them, the networks you have in common and more. Smartr Contacts for Android is a free app that has been in beta for a few months. You can do better contact searching, and Smartr ranks them by how often you contact them, instead of alphabetically. So if your wife is your most contacted, and her name is Zebidee, you won’t have to dig to drop her a message. Profiles carry over to Smartr Contacts, including photos, job titles, company and email details and much more. Oh, and if you want it on the iPhone, no worries, you should see it in the next couple of months. The new apps are more than just apps, though. According to CEO Jeff Bonforte, Smartr is an entire platform upon which the Xobni team will be building even more products. These are both great additions to an already powerful service from Xobni. Transitioning the service into a platform is a smart move for the company, and we’re looking forward to seeing what comes next.